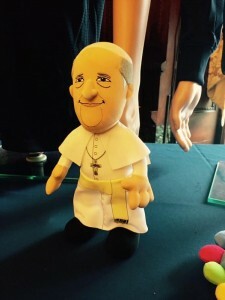 Pope Francis in Philadelphia PA September 26-27, 2015. Yikes. Now that we know what a disaster city planning has been, we can all sit back, feel smugly superior, and stroll the quiet streets, since we've cleverly scared everyone off and Philadelphia will be just one big sidewalk cafe for the weekend. Picnic baskets and coolers are not allowed in the Francis Fest Zone, by the way.